View More In Water Detectors & Alarms. - Sensitive water leakage alarm with 3 probes on bottom, when there is water flow through the probes, the alarm will generate a loud alarm sound(120db) and flash at the same time to warn us there is a water leakage. - Measures 8cm in Dia. and 3cm in height, easy to hide and save pace with the compact size. - Waterproof design, the alarm will float on the water surface as water goes up. Prevent the electronic components from damage. - Battery operated, powered by 9V battery (not included), stand-by time can up to 1 years. - No need wiring, easy to install, just place the alarm to place you want. Suit for bathrooms, basements, kitchens, boats, garages, workshops anywhere needs leakage-proof. 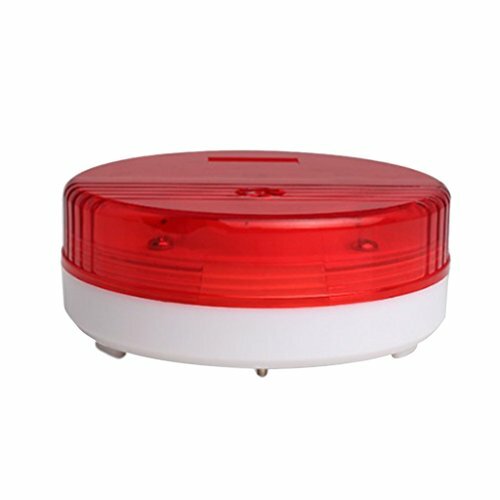 Sensitive water leakage alarm with 3 probes on bottom, when there is water flow through the probes, the alarm will generate a loud alarm sound(120db) and flash at the same time to warn us there is a water leakage. Measures 8cm in Dia. and 3cm in height, easy to hide and save pace with the compact size. Waterproof design, the alarm will float on the water surface as water goes up. Prevent the electronic components from damage. Battery operated, powered by 9V battery (not included), stand-by time can up to 1 years. No need wiring, easy to install, just place the alarm to place you want. Suit for bathrooms, basements, kitchens, boats, garages, workshops anywhere needs leakage-proof.